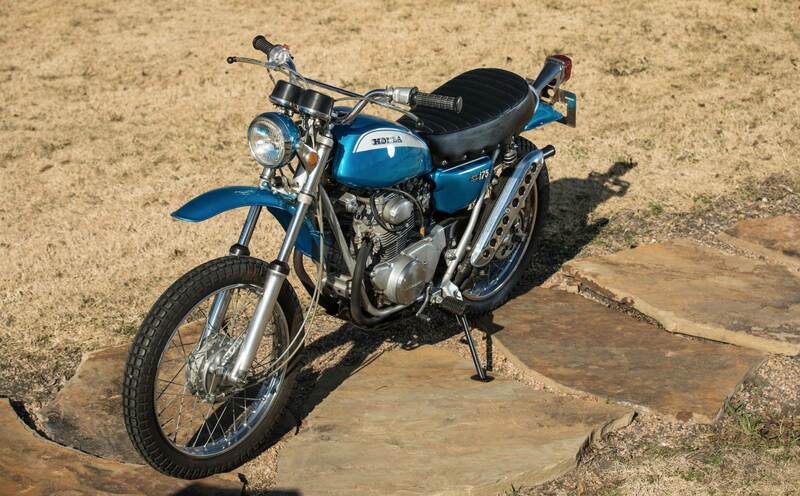 This is a complete collection of Honda SL Motosport models from 1971, all of the bikes have been restored except for the rare, low-milage SL175 which was in such fantastic condition it only needed a re-paint in the correct Candy Sapphire Blue. 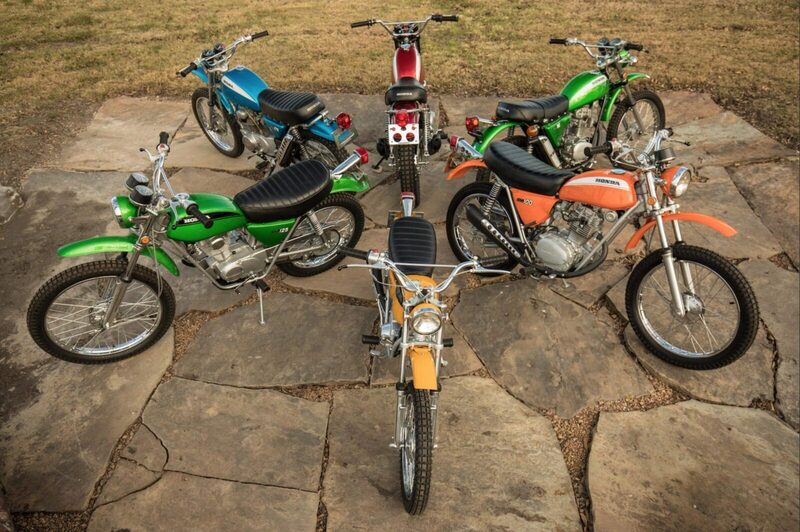 The collection is made up of a Honda SL70, a Honda SL90, a Honda SL100, a Honda SL125, a Honda SL175, and a Honda SL350. The Honda SL70 had been introduced just a year earlier in 1970, as with all the bikes in this range it was designed as a dual-sport motorcycle with a four-stroke engine, and a forgiving nature aimed at those new to motorcycle riding. 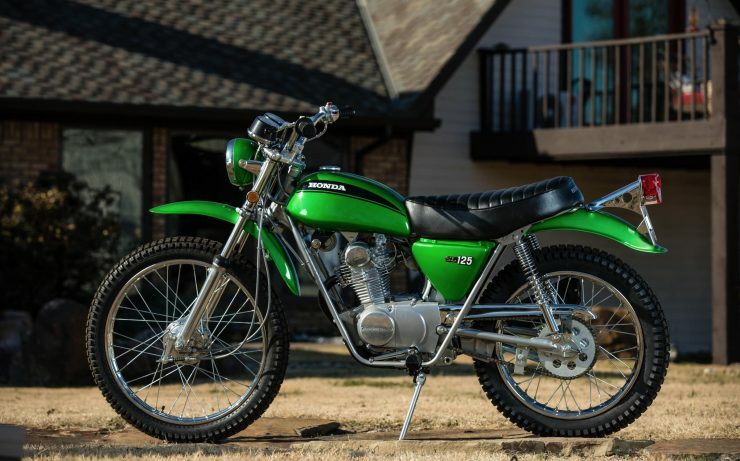 Unlike many other motorcycles aimed at the younger end of the market, the SL70 was a fully-featured motorcycle that had been built to ¾ size. 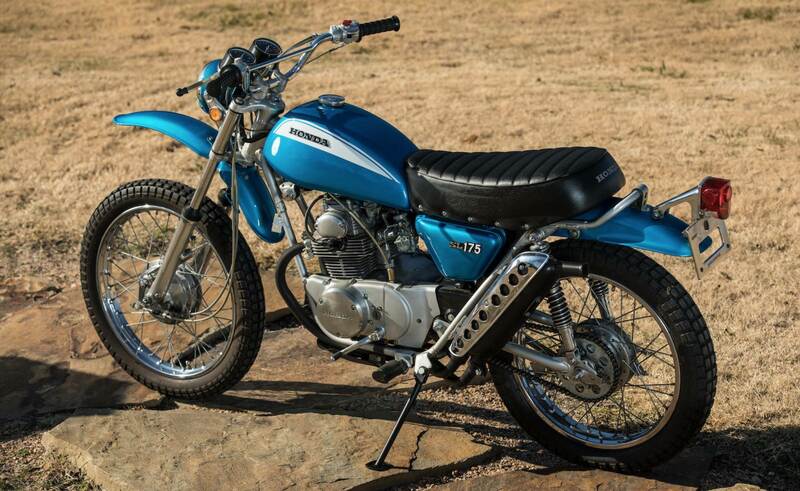 It had a proper hand clutch and foot shifter, giving countless young riders their first ever taste of a “grown up” motorcycle. 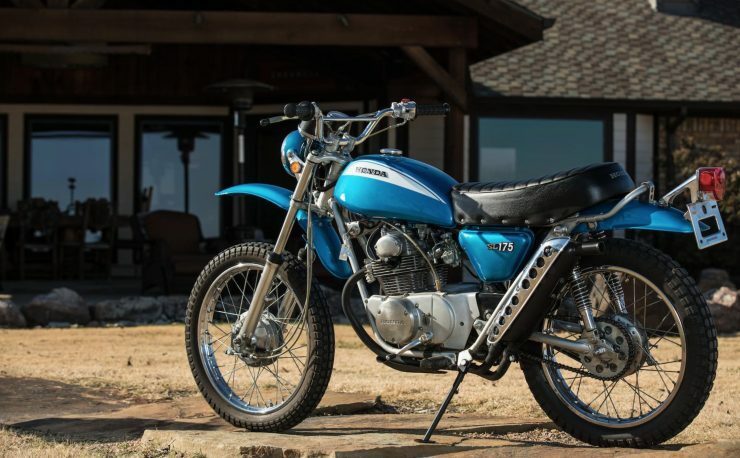 The Honda SL900 is a rare bike in the USA, it was a Japan-only model in 1971 and they’re rarely seen outside the country. 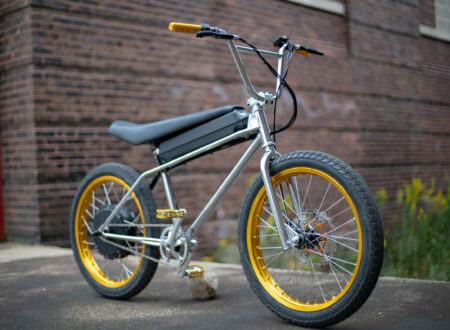 It’s a slightly larger bike than the SL70, it has a capacity of 89cc, a 4-speed transmission and a manual clutch. The Honda SL100 was very similar in appearance to the SL90, but the SL100 was offered for sale in the USA. 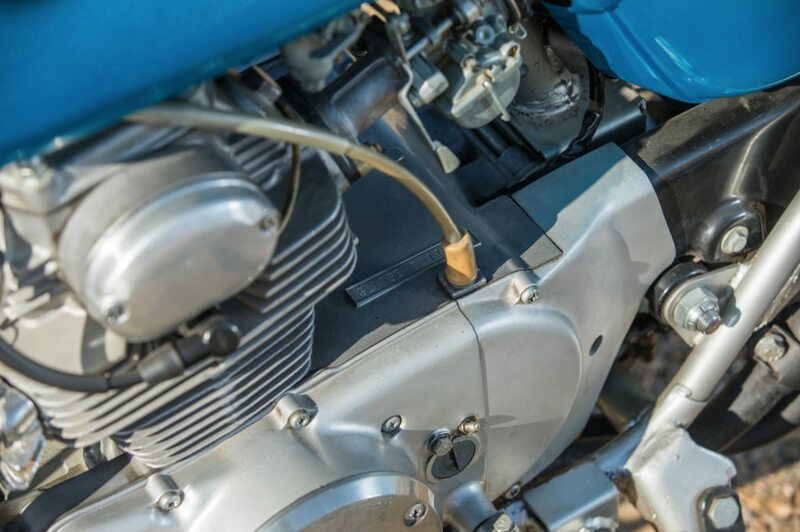 It’s possible the increased engine displacement was designed to bump it up into the triple figures and appeal to a more power-oriented market. 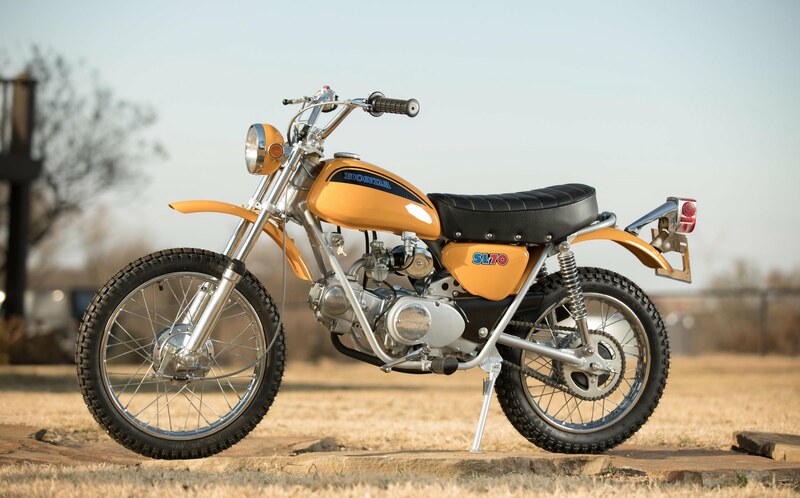 The Honda SL125 was aimed directly at the hotly contested 125cc off-road motorcycle market, it was powered by a 124cc single-cylinder, overhead cam engine with 12 hp at 9,700 rpm, a 5-speed gearbox, and a top speed of 63 mph. The Honda CL175 was positioned between the 125 and 250 classes, it was a four-stroke twin-cylinder dual sport motorcycle with a single overhead cam, and two-valves per cylinder. 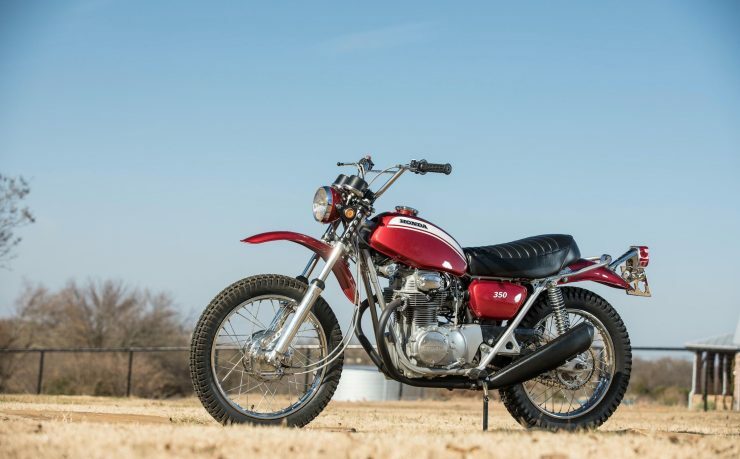 The Honda SL350 offered a significant step up over its brethren, with 32 hp and 20 ft lbs of torque it was capable of reaching significant speeds on both the dirt and tarmac. It was powered by a similar parallel twin to the CL175 and unlike some of its smaller siblings, it was more than capable of carrying adults across all manner of terrain. 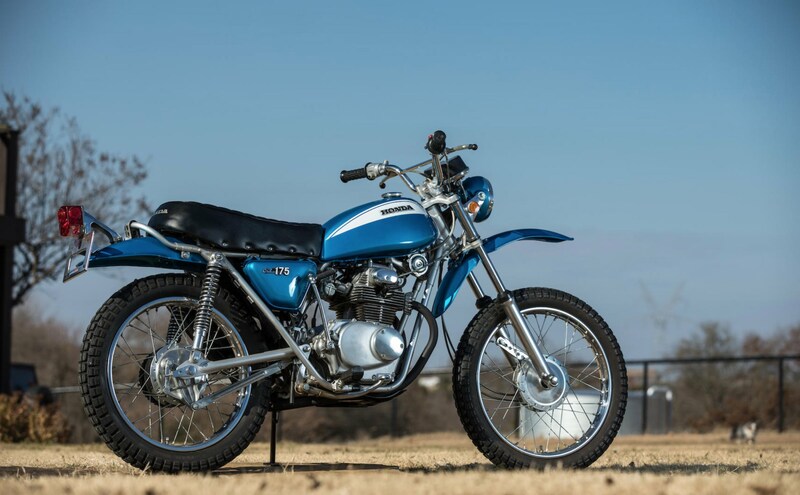 The collection is currently being offered for sale by Texas-based Marbles Motors through Bonhams, Marbles was founded 20 years ago when founder Randy Marble bought an SL70 just like the one he’d owned as a boy. 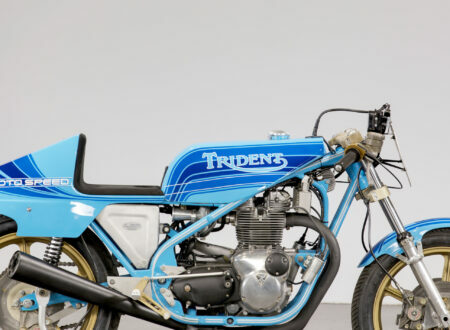 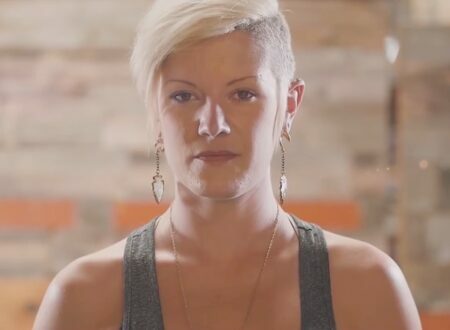 He set about restoring it, when it was completed other people started asking him to restore their own vintage Japanese motorcycles, and before long he was running one of the most highly respected workshops in the country. 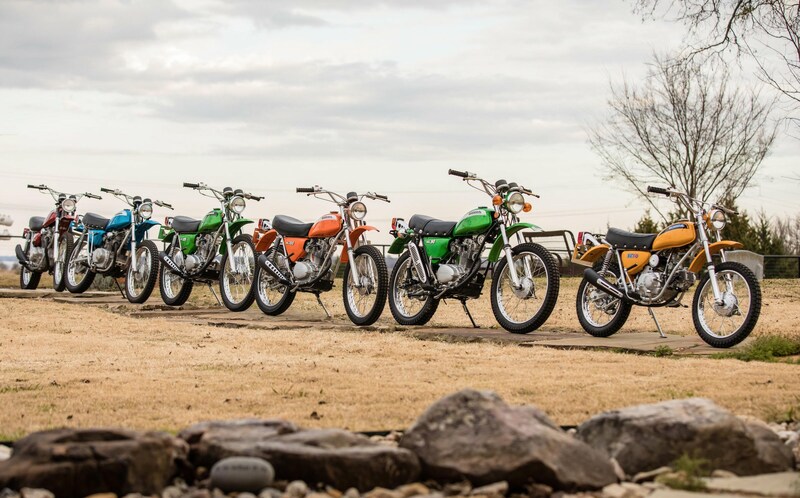 This full collection of six Honda SL Motosport models has an estimated hammer price of between $40,000 and $45,000 USD. 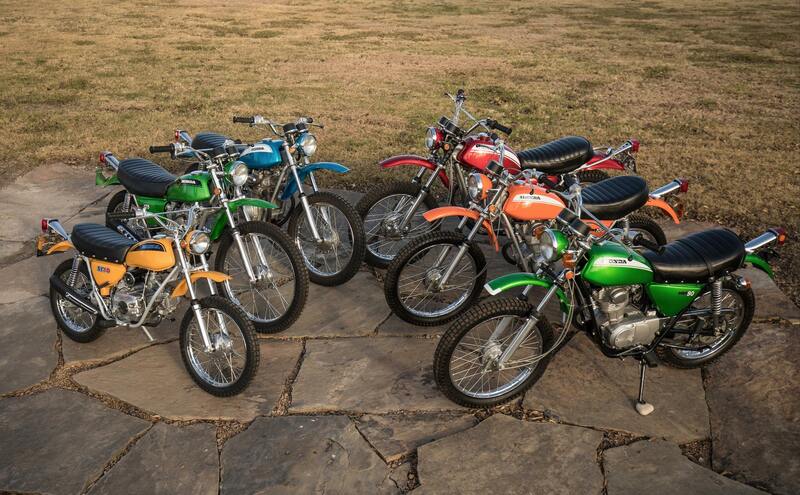 It’s likely a once in a lifetime opportunity to acquire them all at once, and it’ll doubtless appeal to anyone who threw a leg over an SL back in the 1970s. 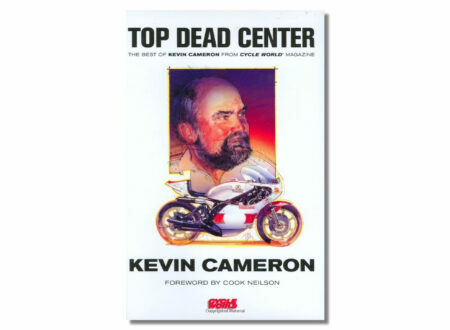 If you’d like to read more about this collection or register to bid on it you can click here to visit the listing. 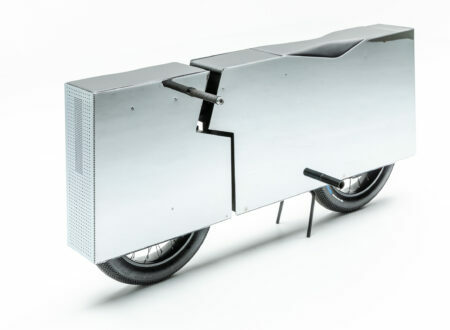 It’s due to be sold on the 24th of January in Las Vegas. 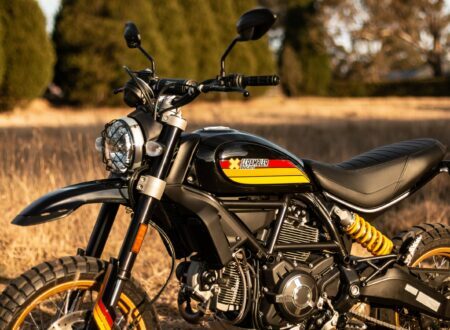 The biggest surprise during my week on the Ducati Scrambler Desert Sled was just how much attention it got – people would cross the street to talk to me when I parked it, and gas station visits would always result in at least one but usually two or more people coming over for a chat….